In this stunning tribute to the great Nina Simone (who attended Juilliard briefly in the early 1950s), Morgan James (B.M. ’03, voice) mesmerizes the rapt audience at Dizzy’s Club Coca-Cola, the cozy Jazz at Lincoln Center room, helped by some superb musicians. Opening with “I Put a Spell on You”—a song etched in many listeners’ minds by Screamin’ Jay Hawkins—James uses her power and range to cast her own kind of spell, helped by sax virtuoso Ron Blake, who’s been on the Juilliard jazz faculty since 2007. And if there’s any doubt about James’s range, her ascent out of the atmosphere in Aretha Franklin’s “Save Me” shows both her lustrous top register and her ability to dip into a hush. But James keeps topping herself, unleashing a version of Janis Joplin’s “Trouble in Mind” that sets the audience on fire. An encore is inevitable, so she offers “Nobody Knows You When You’re Down and Out,” and it completely brings down the (already burning) house. Completing the stellar roster of musicians are bassist David Finck (bass), with pianist David Cook as music director. I love great live recordings for their spontaneity and energy, and—from an archival point of view—for the way that they show an artist’s performance unaltered, without any studio retouching. Here, SiriusXM’s Rob Macomber has done an immaculate job capturing the pipes of a formidable vocalist who’s on her way up. 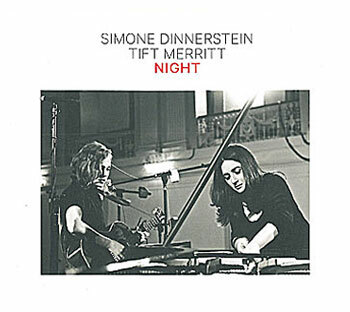 When singer-songwriter Tift Merritt interviewed pianist Simone Dinnerstein about an upcoming album for Gramophone magazine, the two artists hit it off, sharing both intensity and a deep artistic sensibility. This quietly transfixing collaboration, Night—a hybrid in which folk, pop and classical converge—is the result. Dinnerstein (B.M. ’96, piano) is perhaps best known for her highly regarded recording of Bach’s “Goldberg” Variations (I wrote about it for The Journal in 2008). Here she sheds some of her classical skin—but not too much—to pair transparent pianism with Merritt’s breathy timbre. Dinnerstein worked with Merritt on some of the arrangements, and it’s hard to know where the contributions of each begin and end. Perhaps the duo’s eclectic intent is best illustrated by their following Billie Holiday’s “Don’t Explain” with an arrangement of “Dido’s Lament” by Henry Purcell. And anyone who loves Johnny Nash’s iconic “I Can See Clearly Now” will be charmed by the version here, credited to both women, which adds some appealing ambiguity to the song’s basic optimism. Adam Abeshouse, working with Ryan Freeland, has again created magic, recording both musicians at the American Academy of Arts and Letters for an up-close point of view. Every tremble from Merritt and every delicate keystroke from Dinnerstein have been captured accurately, and the balance is right—neither overwhelms the other.